The “greatness” of this Shunammite woman continued to be exemplified many years later when her son fell ill and died on her lap. Her actions that followed his death demonstrated an extraordinary position of faith. 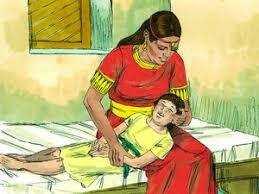 She first laid the lifeless body of her promised son on the Man of God’s bed and shut the door behind her. She never expressed panic nor outward expressions of grief as we see that she never acknowledged that her son was dead, though the evidence showed that he was dead. Not once did she utter to her husband nor to anybody else that her son had died. She simply asked her husband for assistance with transportation so that she could get to the Man of God. “The blessing of the Lord, it maketh rich, and He addeth no sorrow with it" (Proverbs 10:22). She was resolute in her quest to speak to the “source” of her blessing. 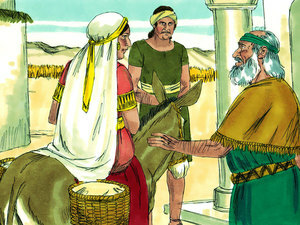 Elisha, on seeing her approaching him, sent his servant to enquire of her what was the matter - but her faith spoke up as she told him that “all is well” (2 Kings 4:26). 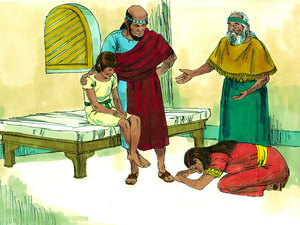 Without acknowledging with her lips that her son was dead, she fell at the feet of the Man of God, Elisha, who was sensitive enough in his spirit to know that something was wrong with the Shunammite’s son and sent Gehazi, his servant, to the boy with a solution. The Shunammite would not have it, but her faith insisted rather, that Elisha tend to the matter himself. 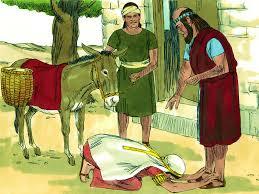 According to her faith, so it was (Matthew 9:29) that the boy was returned to her alive. God has laid up multiple promises for us in His Word! The Bible states that His Word is true (Psalm 119:160a). Does your attitude of faith in those promises line up with that of the “great” Shunammite woman? As a Christian do you speak life, or do you profess things that are negative or that of death? What are the results when you and I make faithless professions? Do you go back to your Source, God the Father, when you are troubled or in crisis? When you are tempted on every side? When you are sick in your body? Or when you have an important decision to make? The Bible records that we were created for God’s pleasure (Revelation 4:11). 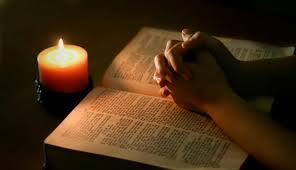 The Bible goes on further to say that without faith it is impossible to please God (Hebrews 11:6). I believe that the Shunammite’s expression of faith was what likened her to be a “great” woman. Her great faith caused her to refuse what she saw in the natural, and she clung to the word that the man of God had given to her. We see that in Abraham, because he believed God and it gained him the position of righteousness (Galatians 3:6). That is powerful! “Let us hold fast the profession of our faith without wavering; (for He is faithful that promised;)” Hebrews 10:23.